"The [America West] novels tells the personal stories of some of the brave pioneers who settled this country's early wilderness, at great personal risk. 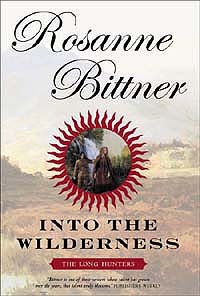 Deftly combining soul-stirring romance with true American history, Bittner creates a world in which brave men and women make the greatest sacrifices possible to see their dreams made reality  and with them, the dreams of a young nation." All three America West novels are now available for all e-readers! Please see my Books in E-Reader Formats page for details and ordering links. Reprinted in mass market paperback in April 2014! 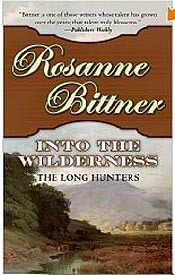 Althought Noah and Jessica are fictitious characters, INTO THE WILDERNESS is filled with real history, characters, and adventures that depict the courage and determination necessary for the birth and growth of the United States of America. Order your copy now through Amazon.com ! NOTE: INTO THE WILDERNESS was selected for inclusion in Best Books for High School Readers: Grades 9-12 (Children's and Young Adult Literature Reference) , by John E. Gillespie and Catherine Barr! Recommended for "mature teens." The second in my "America West" series, INTO THE VALLEY debuted in March 2003 in hard cover from Forge Books. INTO THE VALLEYis the moving story of one woman torn between two brothers who have drastically different visions of the future of their country. In 1780, during the turbulent days of the American Revolution, Annie Barnes is engaged to stable, loving Luke Wilde, an Ohio Valley farmer who is satisfied with his life and not at all sure that it's right or advisable to fight the British crown. But because of a life-changing experience in her childhood, Annie also has strong feelings for his brother, Jeremiah Wilde, a wanderer who becomes deeply involved in the patriot cause and ends up bringing the war a little too close to Annie and Luke's settled life. As the brothers become dangerously embroiled in the fighting, Annie's relationships with both of them are twisted, tried, and tangled beyond recognition. As Luke and Jeremiah face unimaginable dangers, Annie must confront her feelings about the futureboth of the land she adores and the brothers she can't live without. INTO THE VALLEY is a story of war's unexpected effects on the lives of ordinary citizens, and of the courage of the early patriots showed in gaining America's independence. 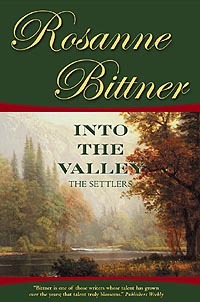 Order your copy of INTO THE VALLEY now through Amazon.com ! Jonah Wilde has always had an untamed spirit, and he will stop at nothing to achieve his dream of building a farming empire in the wild prairies of Indiana. Back in Ohio, he decides that the family farm is not big enough for his growing family, his older brother, spouse and children, and their teenage younger sibling. He, his wife Sadie, and their three-year-old son Paul move to the Fort Wayne, Indiana Territory planning to start their own spread. But in 1810, the Shawnee Indians still call these prairies home, and a disastrous and violent encounter with the Shawnee changes everything for the Wilde family. Sadie and Paul are left to fend for themselves at Tippecanoe, and are abducted by the Indians. Even more frighteningly, one warrior, Wingo, believes Sadie is the woman he has envisioned as his squaw for years. Her dreams in tatters, and thinking Jonah dead, Sadie doesn't know whether she'll have the strength to go on. Sadie and Paul's fates lie in the hands of the Powatomi leader, Windigo, and his Shawnee counterpart, the notorious Tecumseh. Will their lives be spared? And if they live, will they ever return to the life Sadie dreamt of with Jonah? 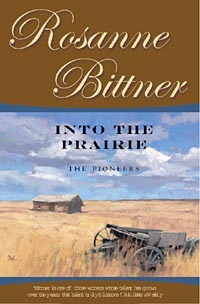 Order your copy of INTO THE PRAIRIE now from Amazon.com ! All book covers on this page Copyright © by publishers and artists, and used by permission (see Copyrightspage for details). All Rights Reserved. Page Copyright © 2006, 2011 by Michelle Crean & Rosanne Bittner. All Rights Reserved.